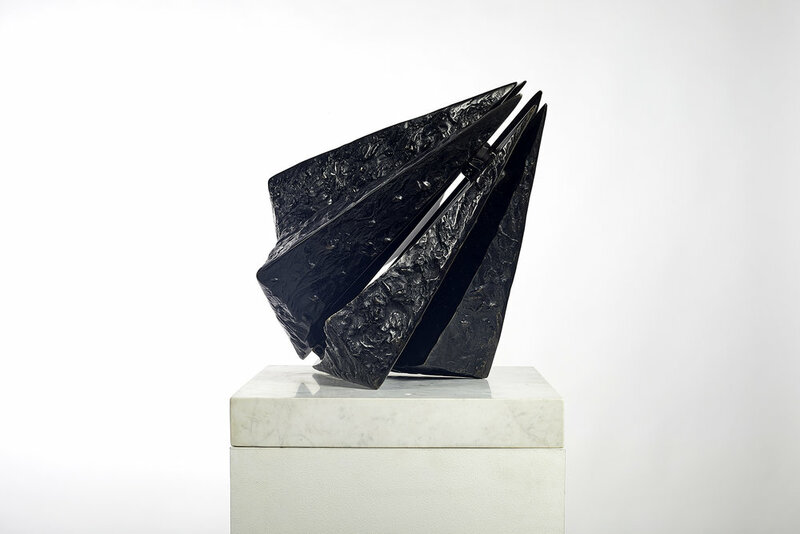 Encounter Contemporary will open ‘Fusion’, an ambitious exhibition of new work by leading contemporary British sculptor Charles Hadcock on 19th October 2016. In a digital age of instant images and disposable fashions, this captivating collection of cast metal sculptures asks us to take a step back in order to look forward. Through their enduring materiality, they radically refocus our engagement with the rapidly changing contemporary world, forcing us to stop and think. In his distinguished career spanning three decades Hadcock has exhibited in international spaces ranging from the Peggy Guggenheim Collection, Venice to the New Art Centre at Roche Court and the Cass Sculpture Foundation, Sussex. ‘Fusion’ coincides with the display of Hadcock’s Hexad III and Folium at ‘Beyond Limits’, Sotheby’s annual monumental sculpture exhibition in the grounds of Chatsworth House, Derbyshire. 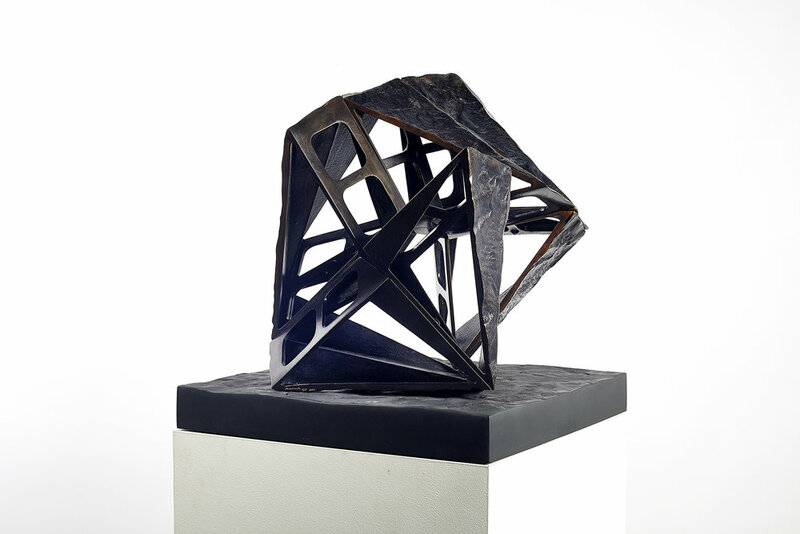 Bringing together working models of both these works, substantial new studio pieces and maquettes of well-known public sculptures, ‘Fusion’ demonstrates the full range of Hadcock’s dynamic artistic practice. As physically forceful as it is conceptually nuanced, the artist’s sophisticated sculptural language enticingly balances nature and industry, music and architecture. In Hadcock’s sculpture these hybrid influences are both intermingled and juxtaposed, initiating intriguing patterns of thought which imbue the exquisitely engineered objects with a distinct energy. 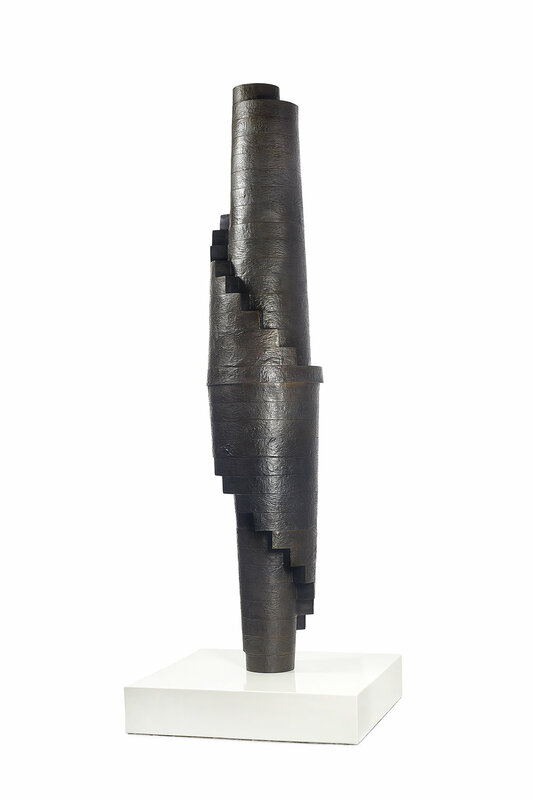 ‘Hadcock seamlessly retains both the organic and mechanical as sources of inspiration which enhances the sculptures overall artistic beauty.’ (Simon Stock, Sotheby’s, Senior Director, Impressionist & Modern Art). The innovative material combinations and finishes that Hadcock employs elevate his sculptures to a state which makes them appear almost other-worldly, ‘as if he has taken a natural form and subjected it to some sort of unearthly torque’ (Peter Chapman, The Independent). 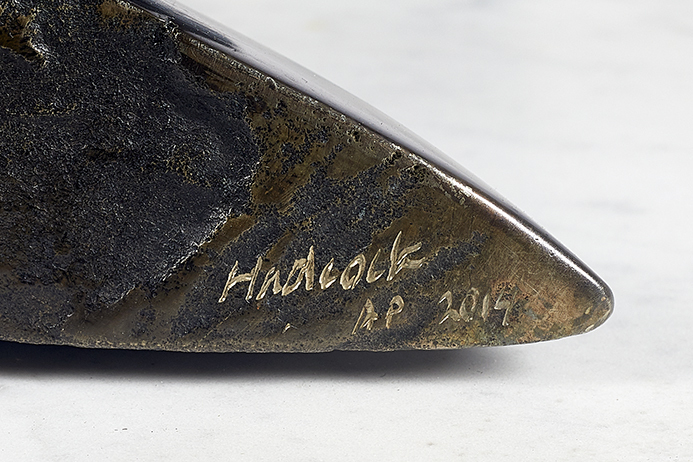 In many of his new pieces Hadcock employs a unique synthesis of nickel and bronze elements. It is in this way that the artist brings contemporary resonance to lasting sculptural forms which physically and metaphorically bear the imprint of the past. Preoccupied with the interplay between the transient and the permanent, the artist’s sculptures delicately transition from ethereal reflections- which constantly dance across their polished metallic surfaces- to deeply embedded textured castings of rock faces and fossils, painstakingly formed over millennia. In Hadcock’s work ‘the fragmentary is reunited in intriguing new harmonies’ (Andrew Lambirth, The Spectator). The sculptor has an uncanny ability to translate the clarity of a thought into a potent physical object. The complex arrangements of Hadcock’s carefully crafted forms are in part dependent on mathematical formulas derived from the Ancient Greeks. Yet even as he is inspired by this lineage the artist playfully reverses its principles. The work is as engaged with the irregular as much as the regular, the problem as much as the solution. 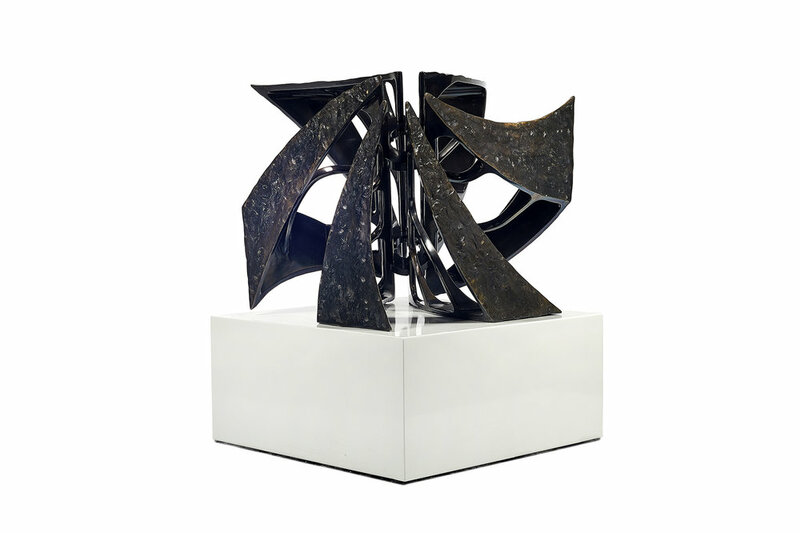 Echoing the abstract geometry of the sculptures, our eyes twist and turn unexpectedly. Moving back and forth they constantly wrestle with the optical puzzle before them, searching for a resolution which may not be present. His work invites speculation whilst resisting any form of final explanation, like an unsaid utterance continuously held on the tip of the tongue. ‘Fusion’ will run until the 30th of October. This innovative and important exhibition is certainly one to visit.